Our Deluxe Travel Collection includes all the essentials you need for long and short-haul travel. 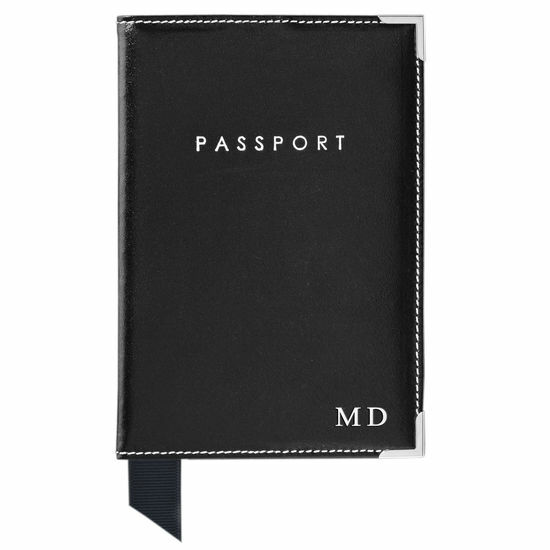 The travel wallet opens to reveal four separate tabs for your passport, tickets, documents and any other essentials. 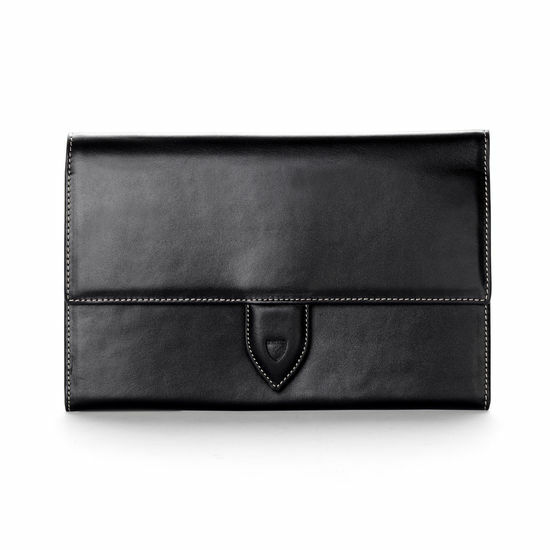 There is one large compartment for currency, a zipped coin pocket, and an open pocket ideal to keep your boarding pass safely at hand, while the refined passport cover will protect your ID in transit. 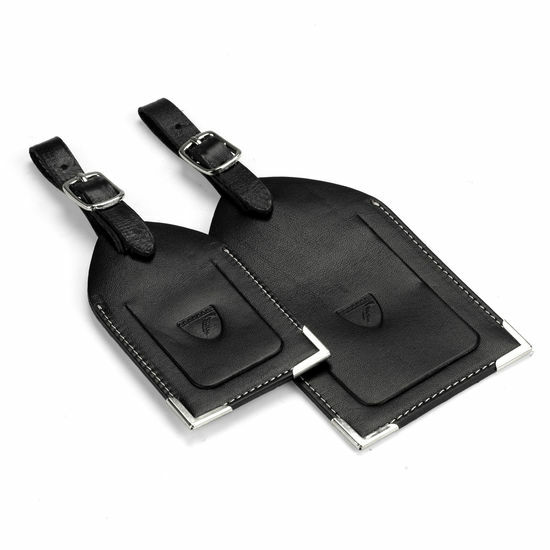 The two luggage tags, one large and one small, can be buckled onto your suitcase and hand luggage and feature a gold foil Aspinal address card, so you'll easily spot your luggage on the carousel. 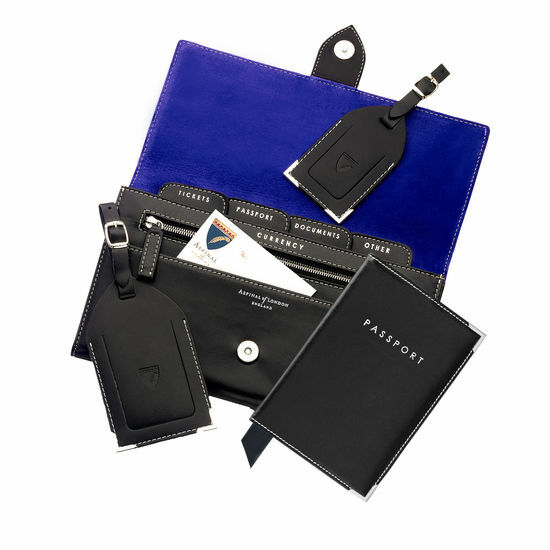 The whole collection is hand-crafted from the finest smooth black Italian calf leather and has striking cobalt blue suede linings. Personalise yours with up to four initials to truly make them your own.